Great songs by a great sounding band - thankyou. Man, I LOVE this album. Abbie Gardner's been getting around, too - her recent duet album with Anthony Da Costa is heartbreaking. Bonus points: the ladies of Red Molly first "hooked up" in the campsite of the Falcon Ridge Folk fest, [where both Susan [of SMM] and I have summered for years]. By the next year, they were on stage as part of the emerging artist's showcase. The next year, they were back by popular demand as the showcase winners. I managed to catch them in all three iterations, and I can tell you their progress has been nothing short of entirely well-deserved. Perhaps we'll see you at the fest this summer, Darius? Just testing to comprehend if your say discuss fuctinon works, mine doesnt! Red Molly is one of the best I've seen in a long time on the coffee house circuit. My wife and I have seen them a half a dozen times, each show better than their last. The last show seen was in Plymouth MA (January 23, 2010) with Jake Armerding on fiddle. Red Molly seems to have a knack to taking songs and squeezing them out to the end where you could hear a pin drop. 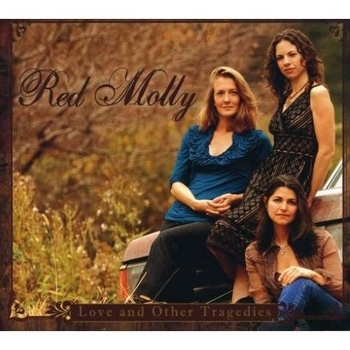 Some bands get hung up singing the same songs every concert but not with Red Molly. Some of my favorites do not get sung on some nights but are replaced with something new and fresh. Be prepared to be captivated by their stage presence so sit back and let Red Molly have at it, you won't regret it!